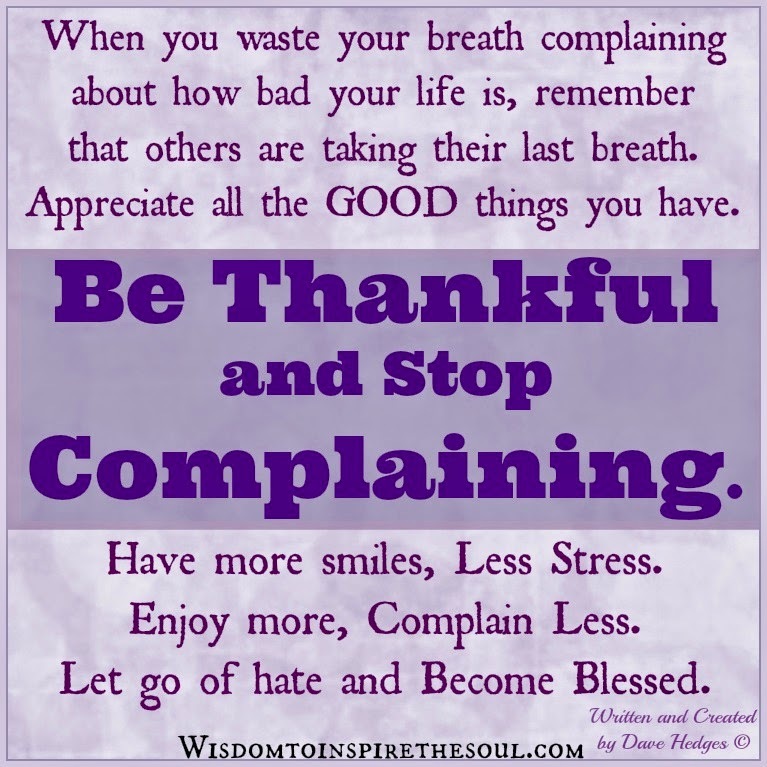 Daveswordsofwisdom.com: Be Thankful and Stop Complaining. Be Thankful and Stop Complaining. When you waste your breath complaining about how bad your life is, remember that others are taking their last breath. Appreciate all the good things you have. 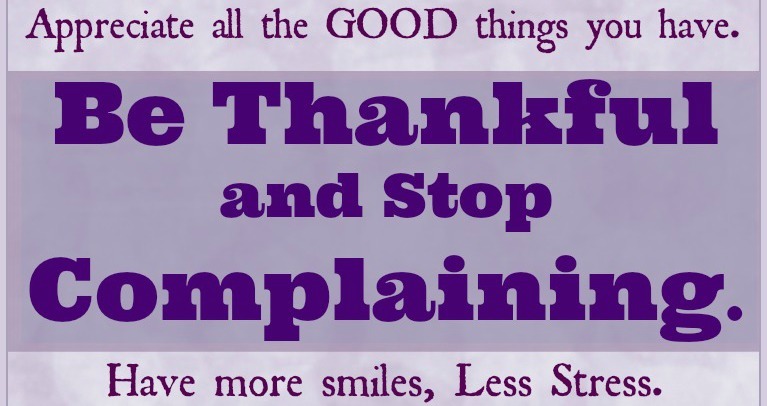 Be Thankful and Stop Complaining. Have more smiles, Less Stress. Enjoy more, Complain Less. Let go of hate and become blessed.